It was noted that apologies had been received from Councillors Webb and Webster. It was noted that Councillor Perry was substituting for Councillor Webster. RESOLVED:� That the items on Part II of the agenda should be taken in private, as proposed, due to the likely disclosure of exempt information. RESOLVED:� That the Minutes (Part I) of the meeting held on 14 November 2017 be approved as a correct record and signed. The Chairman advised that there would be a Crime and Disorder Committee meeting on 13 February 2018 and the March meeting would be postponed until July.� It was further proposed that the Police Crime Commissioner would be invited along to the meeting in September. The Committee also noted that a report would come back in March on Heather House providing an update. 3) A site visit be arranged for Committee Members to visit Heather House before the report comes back in March. The Committee considered the report of the Head of Environment and Public Realm which related to a Litter Strategy for England 2017. The Officer detailed the ways in which the Council was already working to these initiatives. The Committee noted that the Strategy highlighted an area where the Council had had difficulty tackling before which was litter being thrown from vehicles, where enforcement had been difficult unless a clear description could be given of the offender.� Legislation had been proposed which would enable local authorities to take enforcement action against the registered keeper of vehicles from which litter was proven to originate.� The guidance is expected to come forward in January/February 2018. In October 2017 the Government announced new steps to be introduced for littering following completion of the public consultation. The announcement included that from April 2018 the maximum on the spot fine local authorities could issue for dropping litter would nearly double from �80 to �150.� The minimum fine would increase from �50 to �65, whilst the default fine would increase from �75 to �100. It was also noted that for the first time, local authorities outside of London would also be able to apply these penalties for littering to vehicle owners if it could be proved litter was thrown from the car, even if it was discarded by someone else. Option 1 � note the actions proposed by Government in the Litter Strategy for England but take no specific action to change the approach to engagement or enforcement in Maidstone and to leave the FPN at �80. Option 2 � to increase the value of the FPN to the maximum of �150 for littering, including from vehicles. 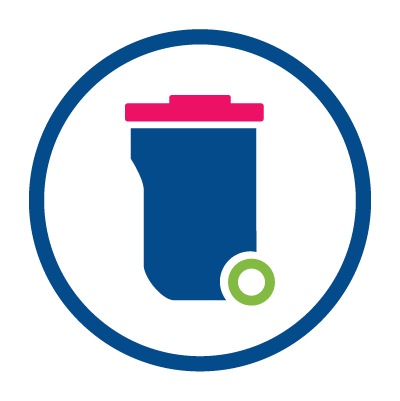 Option 3 � to increase the value of the FPN to �120 for littering, including from vehicles as a proportionate penalty and offer a reduced charge of �90 for early payment (within 14 days) of the FPN. � That the new Enforcement Officers would not just be working in the town centre, they would carry out enforcement action across the Borough. � An anti-littering sculpture would be put up to encourage people not to litter.� This was a new initiative instead of putting up signs which people get used to and ignore. � That Officers were continuing to work with local takeaways to minimise the amount of litter on the streets and great successes have already been had with companies such as McDonalds who sweep up their own area outside the restaurant to keep it litter free. � That Officers would investigate reports of the refuse vehicles leaving behind rubbish as they should return to pick it up. ��������� Appendix A to the report be supported. ��������� (within 14 days) of a Fixed Penalty Notice for Littering be agreed. RESOLVED:� That the press and the public be excluded from the meeting due to the possible disclosure of exempt information. 14 November 2017 be approved as a correct record and signed. The Committee considered the exempt report of the Head of Housing and Community Services which related to a review of the Temporary Accommodation Strategy. �������� originally submitted to the Committee in December 2016.